Social media isn't just for private life anymore, it's become a major role in modern day marketing. In regards to HR marketing, social media can help to win over applicants and increase employer branding. If you aren't exactly sure how to utilize social media or want to implement some new strategies, then look no further. We're here to share six ways that you can improve your HR marketing strategy with social media in this article. Posting job advertisements can also be done on social media. 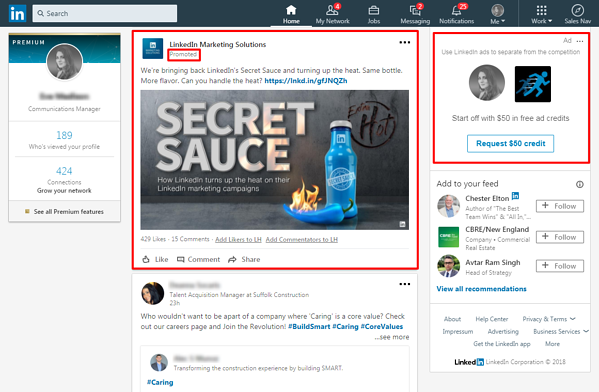 Both LinkedIn and Facebook offer the ability to create and post job ads that will be shared with relevant target groups. This is a great way to reach potential candidates without them having to even leave their favorite social media site. This strategy is particularly helpful for reaching passive candidates, who are not actively seeking out new positions. Groups on social media are another way to get in contact with potential applicants and to promote your employer branding. There are numerous groups on all forms of social media, so it's best to do a little research on your target group first and determine which groups are the most relevant for them. Facebook and LinkedIn are probably the two most prominent mediums to find groups. Don't forget to think strategically before sharing your information. For example, consider reaching out to the admin of the group first to determine whether or not it's appropriate for you to be posting jobs within the group. Skim the content previously shared in the group and then make sure you are sharing positions that are applicable and won't be considered spam by the group members. Building up your talent pool can be significantly easier when utilizing social media as a tool. If you have multiple social media accounts, you should be sharing your talent pool on all channels. Again, it's important to do this in a way that won't be considered "spammy" so consider limiting this to once or twice a month. Creating mini-campaigns for sharing your talent pool could be a creative way to gain some attention in a more natural way. For example, share the day in the life of a current employee and end the day of posts with a call-to-action to sign-up for the talent pool. In marketing, content is king, and it's become an important part of building up a well-known employer brand. While almost every social media has the possibility of sharing content, one of the best options for this is Facebook. Why, you might ask? Well, with 2.23 billion active monthly users Facebook offers the biggest reach by far. However, there are other channels that should be considered as well. Pinterest might not be the first social media that you think of to use in a business setting, but it is a great place for sharing content, especially if you have a lot of visual content. Twitter and LinkedIn are also common social media channels for sharing content. 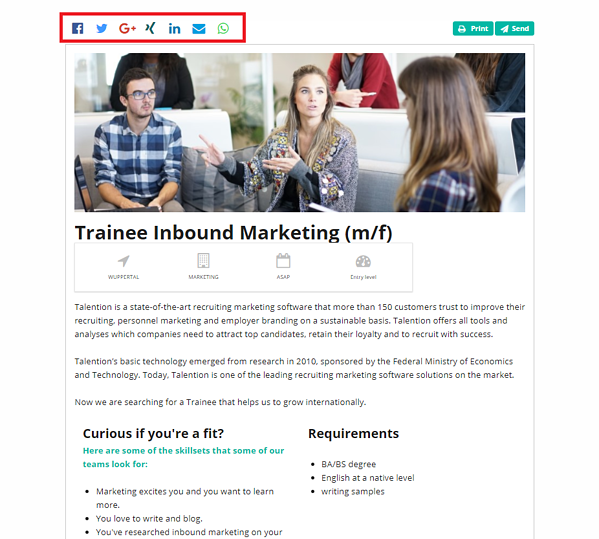 If you have social media accounts, they need to be connected to your career page and your job advertisements. This gives potential applicants the ability to learn more about your brand outside of your website. They will also be able to follow your company and receive updates on all of the content you share. It's a simple addition that could help to amplify your social presence. It's important that you share a cohesive employer branding message across all of your social media account. Potential candidates should be able to go from your Facebook, to your Twitter, to your Instagram and feel like the messaging describes the same company culture. Check out our article on how to improve your employer branding with social media for more employer branding tips.